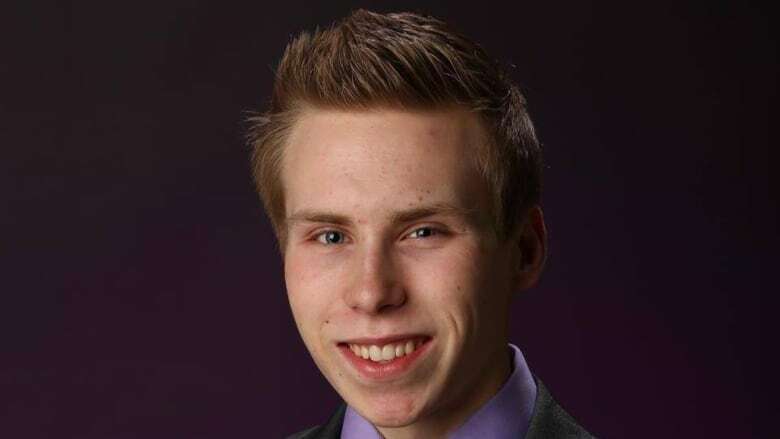 An autopsy conducted by the Office of the Chief Medical Examiner in Edmonton determined that Kosolowsky, 21, died from a gunshot wound, RCMP said Thursday in a news release. 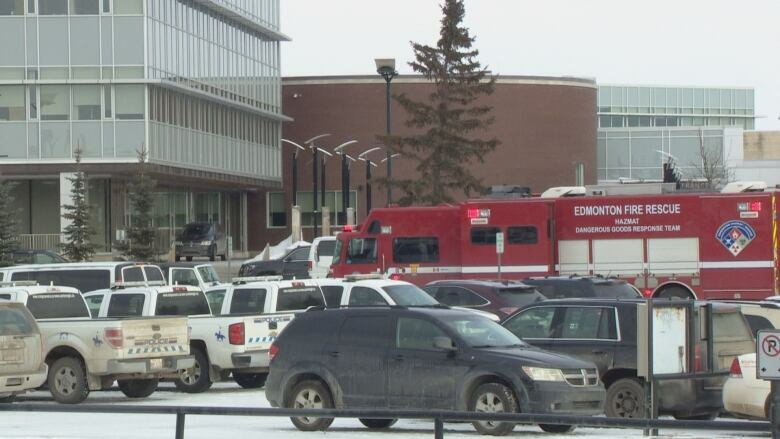 Shortly after the first explosion at about 6:30 p.m. MT on Tuesday, police found Kosolowsky injured inside a vehicle in the parkade of the Strathcona County Community Centre, in Sherwood Park. 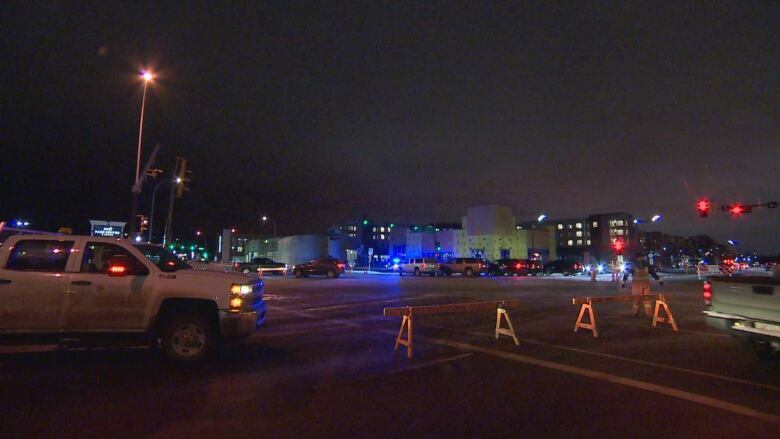 A second explosion happened in the same parkade at about 8:15 p.m., while the emergency response team and the explosive disposal unit (EDU) were on the scene. No one was injured in that blast. Kosolowsky's family said they were "shocked and devastated" and are co-operating with investigators. "The events that occurred are totally out of character for Kane and we trust that the authorities will continue a thorough investigation to provide the answers we are all seeking," the family said in a statement through the RCMP on Thursday. "At this time we ask for privacy." Remi Richer, who was a friend, also said Kosolowsky's actions were out of character. "Me and the people that knew Kane are having a hard time wrapping our heads around this whole situation," she said. "This is completely out of his behaviour. He was a very humble and kind person. He was passionate about life." RCMP have provided few other details about what happened, though a spokesperson said Thursday there is no indication the blasts are "related to any group or ideology." Police said previously that investigators were not looking for any other suspects and said the public was in no danger. Emergency crews and tactical units rushed to the building Tuesday evening after witnesses reported hearing an explosion inside the parkade. A nearby home for seniors was evacuated and road blocks were erected in the area. Heavily armed officers could be seen throughout the night moving in and out of the community centre complex, which houses the county's council chambers as well as the library and meeting rooms. The parkade will remain secured by police, RCMP said Thursday, but roadblocks surrounding the area will be "removed shortly." The area outside of the parkade has been deemed safe by the explosive disposal unit. "Further investigation around the explosions inside the parkade area is anticipated to take several days," RCMP said. Police said Strathcona County has decided to keep the community hall closed to the general public at this time. Two schools nearby, St. Theresa Catholic School and Salisbury Composite High, will both reopen tomorrow.